This is a story about three good friends. All of us happily married, successful professionals who are “just a tad over 40”. And we were all dealing with our own set of, shall we say, mid-life issues. There’s Alvin, a jet-setting executive who’s had his fill of the fast life. He was bored with “chasing money”, he said, and had been getting sleepless nights wishing for something exciting to happen. Then there’s Neal, an established architect whose portfolio includes some of Singapore’s most iconic structures. Somewhere along the way he lost his muse, he lamented, and he was looking for a fresh eye to apply to his designs. Finally there’s me, a seasoned photojournalist who had long forgotten the meaning of “leisure travel”. During one of our late-night drinking sessions, we confided our respective concerns to one another. A getaway for the boys, we figured, would help chase away our demons, and carve out some time for us to be who we once were before grown-up roles left little time for us to play. 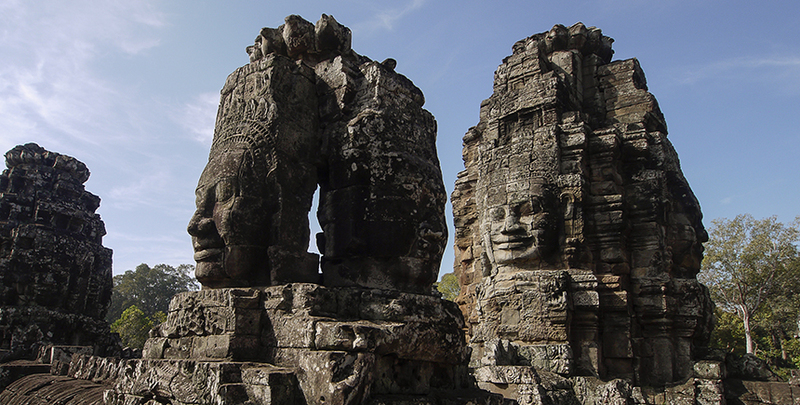 I knew that Cambodia, with its blend of character and good old grit, would be perfect for such a trip. Besides, the beer there was only 50 cents a mug. Since I was the only one in this trio who knew the country well enough, I was tasked with planning a kickass adventure — one that was worthy of a big bad hangover, the kind you’ll keep talking about for years thereafter. And so a month later, we found ourselves on a plane bound for the kingdom of the Khmers. 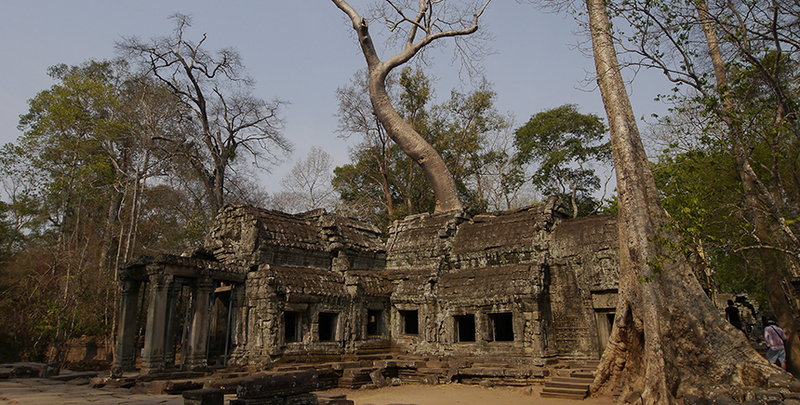 Our plan was to go on a six-day romp around Cambodia, eventually making our way to Siem Reap. Now let’s make something clear: no emo crying occurred at any point during this trip. Instead, we did what manly, self-respecting dudes do on a soul-searching expedition. 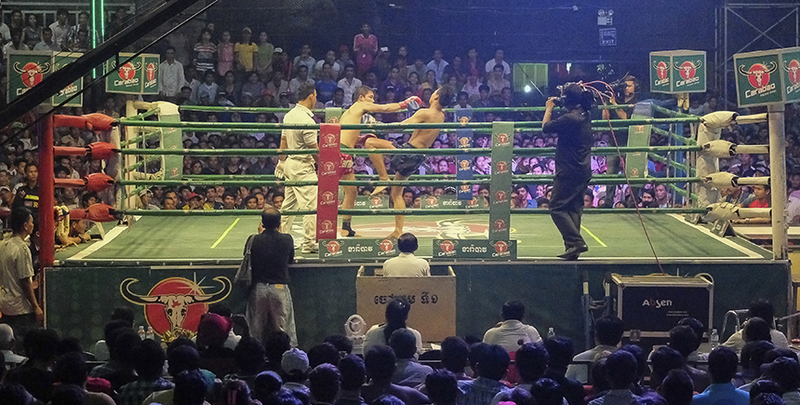 In the Cambodian capital of Phnom Penh, that meant watching Kun Khmer (a traditional martial art) fighters kick each other live inside a crowded TV arena, and feasting on dirt-cheap barbecue and beer at the nearest roadside eatery. Afterwards, we headed to Sisowath Quay, Phnom Penh’s nightlife strip, for an epic bar, pub and beer garden crawl that lasted till the wee hours of the night. We did, however, spend a few sobering hours the next morning at the monuments that commemorated the country’s recent past. One of travel’s everlasting gifts is the chance for one’s world view to be challenged and to expand, and it happens quietly, subconsciously. Compared to our trivial mid-life problems, grisly reminders like the Tuol Sleng Prison — a former Khmer Rouge torture den — and the Choeung Ek Killing Fields Memorial put things in perspective. 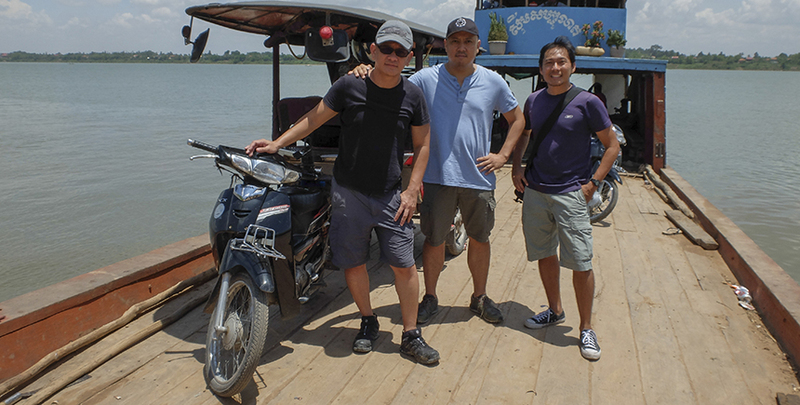 By the time we got to Siem Reap on our fourth day, my companions had loosened up sufficiently. Alvin was simply enjoying the fact that there were no clients to call, and had chucked his office phone somewhere in his bag. Neal, on the other hand, was happily taking in local design elements from every other street corner. And despite our wives being initially apprehensive about this all-boys adventure, it was amusing to note that, yes, we lovingly Skyped our partners every night. We were all delighted to find that Siem Reap was a happening place. The downtown area, which teemed with all sorts of watering holes, was exactly the kind of place that allowed us to be our old freewheeling selves. At a bar called Banana Leaf at the corner of Street 8 (also known as “Pub Street”), we boozed (somewhat moderately) and chatted with the in-house singers — they were Pinoys too, it turned out. 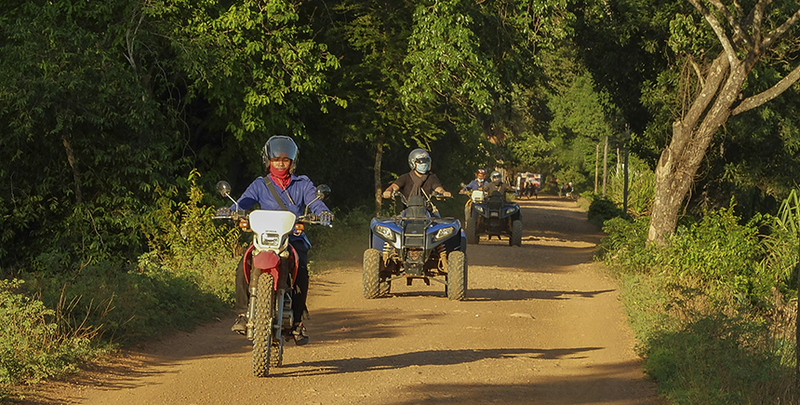 The next day, we made our way to the majestic Angkor temples — first on a two-wheeled, motorbike-powered tuk-tuk, and then later via a rip-roaring all-terrain vehicle ride through the Cambodian countryside (www.cambodiaquadbike.com). Afterwards, the wide grins on our faces proved that our issues (what issues?) were all but gone. As our last day in Cambodia dawned, I found myself doing something I’d never done before despite a dozen visits here — laze in a pool with a cold beer in one hand and no camera in the other. Sometimes, all we really need to recharge is a little help from our friends. This article originally appeared in the October 2016 issue of Smile magazine.